People work hard to make the most of their income and create momentum with their money — amidst a lot of financial clutter, and often without the benefit of a clear-cut financial strategy. So, what if life doesn’t go as planned? What if you don’t save as much as you thought you would? Or your investments don’t produce as you had hoped? 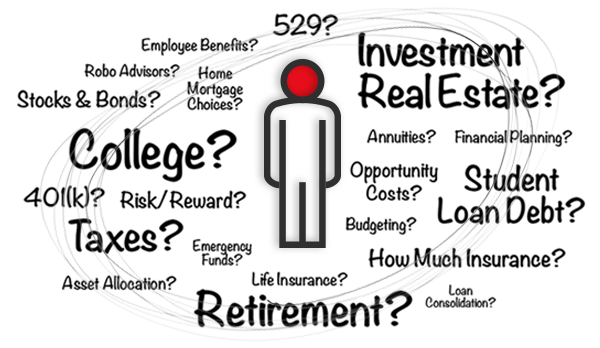 Or unexpected losses or expenses pop up (career, education, health, home, car), as they often do? 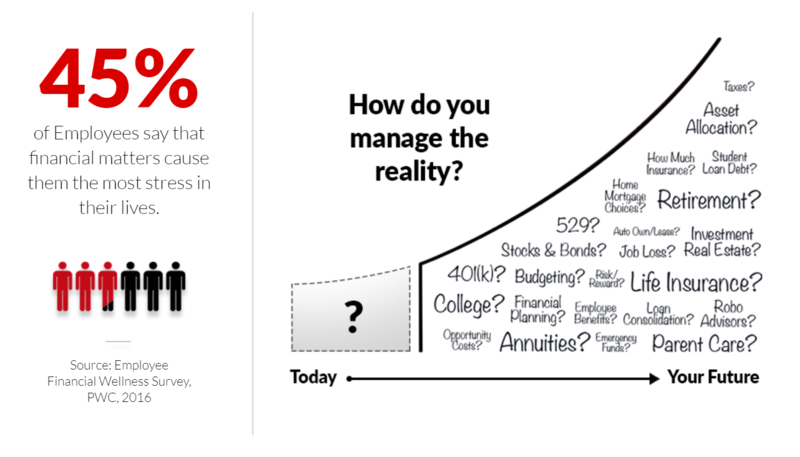 What if you want something different at retirement than you want now? 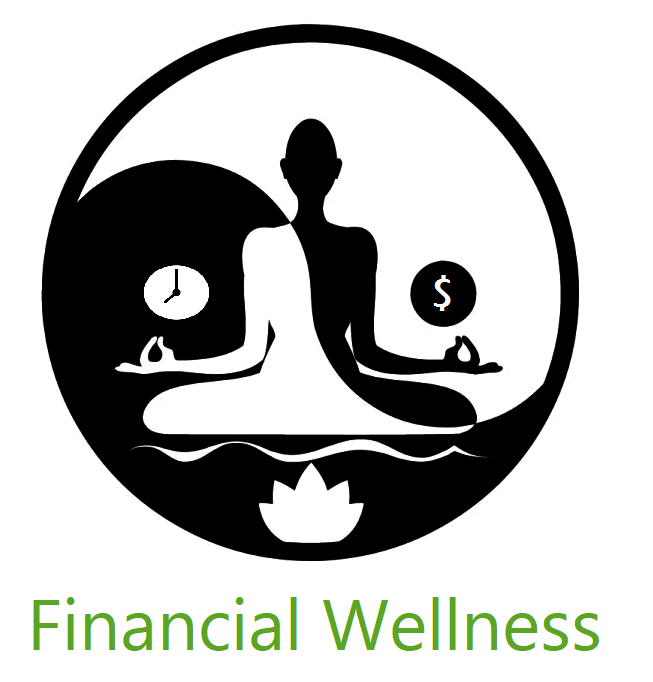 Our financial wellness program introduces you to essential personal finance concepts from a unique balance sheet perspective. It’s a learning experience that can have a powerful effect on financial decision-making so participants can achieve a higher degree of control over your lifetime earnings and overall financial picture. The step-by-step approach of the class shows you the simple logic and the ideal order of financial decision-making that will guide you toward a solid financial future with clarity, confidence, and security. You provide the space and inform your people. We take care of the rest.